Instagram is making a change. Over the next several weeks, a video view counter will be added to the site that will show you how many times a video clip on the app has been viewed. Instead of seeing the number of likes underneath a video, a counter will keep track of the number of times a clip is played. You will still be able to see the number of "likes" generated by a video by tapping on the word "views." 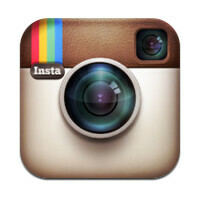 On its blog page, Instagram hints that there will be even more changes made to video this year. "Adding view counts is the first of many ways you’ll see video on Instagram get better this year." By adding a view counter, an Instagram user would be able to see how popular a video is as opposed to how well liked that video is. Both are different metrics measuring different things. And both will be available to Instagram users in the weeks ahead. To see what the new feature will look like, click on the slideshow below. what about auto streaming of videos? does it count as a view?